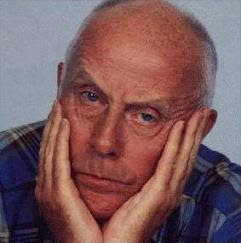 It turns out that Victor Meldrew (or rather the actor Richard Wilson) likes a game of squash! In an interview for the Observer, the One Foot in the Grave star confesses to hitting the court to keep trim - and at 70 provides a great role model for the older player. He joins an illustrious roll-call of actors who have, er, tread the boards, including Michael Douglas, Sean Connery and Leonard Rossiter. How strong is the women's game?